There are lots of reasons for wanting to evolve your startup, freelancer service or small business into a structured, scalable venture. You can’t sell a company that relies solely on your direct involvement to operate. You need to improve its value. You can’t focus on growth if you’re neck-deep in client services with every new account. You need to increase your freedom. You can’t take personal or sick time without harming your business. You need to delegate and automate. When asked what they would do differently if they could start everything over, most entrepreneurs wished they had spent more time earlier developing their strategy and planning their systems better. You worked hard to get to the point where you can confidently declare your business model to be successful. You’re officially a technical expert in your craft and you’re securing new business for yourself consistently. But if you’re here, you’ve come to a sobering realization. The more you grow, the more work you create for yourself. Your company relies on your 100% involvement but you’re nearing your personal max. Experiment with hiring help without knowing what to expect or where to start. Accepting that too many wrong steps can bring you back to square-one financially. Hire an expert to take the lead for a hefty price or a big chunk of equity. Now you have an opportunity to direct your own consulting. You’ll learn relevant, practical, and actionable steps that will help you take your business to the next level. Systems that Scale provides the same questions, insights, and direction of a professional business consultant at a fraction of the price. 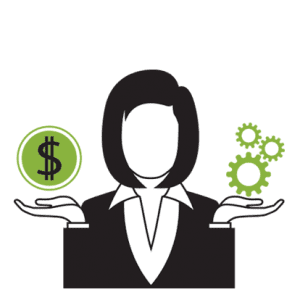 For the same price as only one hour of professional consulting, you can have a complete growth consulting regimen to tackle at your own pace, on your own time. Through this course, you’ll be empowered to be your own consultant. Navigate the complex landscape of growing several business functions simultaneously. Avoid the frustration and mistakes of trial and error. Learn to appreciate the importance of seemingly minor, common sense items and how they can seriously influence your growth. Managing Expectations – Starting with the basics of advanced business growth preparation, we’ll cover the source of positive and negative experiences. This will help you define your goals in creating a superior brand image both internally and externally. Or just buy it now! Adjusting Your Perspective – Learn how to move away from the DIY mindset in order to redesign your business systems to work without your direct oversight. I’ll show you how to replace your personal reputation with a consistent, effective, and persuasive brand image. Analyzing the scalable business – At this stage, we’re ready to begin deconstructing your existing business model into a scalable format. Using our workbooks and prompts, you’ll begin to organize the responsibilities required that make your business successful. This is the first stage to prepare your business for delegation and automation. The System to Build Systems – No course would be complete without a memorable acronym to help you apply your knowledge to real-world applications. I created the IODINE Method as a System to Build Systems, allowing you to design and implement new systems, refine your existing ones, and make continuous improvements. 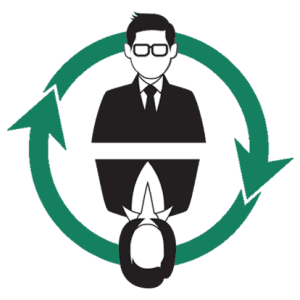 Hiring Systems – Using the outline of responsibilities you prepared to delegate, we’ll create an attractive position designed to recruit top performers. Your hiring systems will be crucial to growing an independent, competent team you’ll rely on to reduce your workload and increase your profits. Exploring your options: Contractors or Employees? Training Systems – With the right training systems, you’ll begin to experience accelerated growth by relying on existing staff members to effectively produce new qualified personnel. Here you’ll create the right supporting materials, develop clear expectations of productivity, and make it easy to transform noobs into pros. Managerial Systems: The Five M’s of Management – “Mmm, mm!” If you’re new to management or you’ve been learning as you go, this segment will help you make sense of the important responsibilities required to lead, motivate, and keep the peace with your growing team. 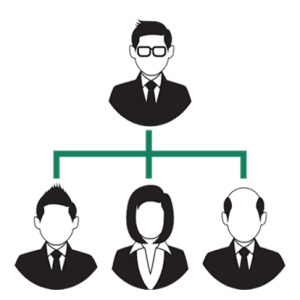 Operational Systems – As your company evolves to operate independently of your direct involvement, you’ll need a means to monitor your staff and systems for effectiveness. Here you’ll learn how to enhance the client experience and review employee productivity. Tom Waters has helped thousands of business professionals, entrepreneurs, agents and executives. 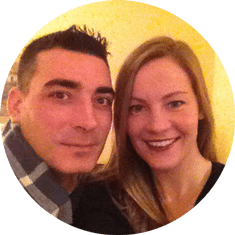 Whether it was to save money, increase efficiency, resolve conflicts or reduce headaches, Tom has condensed years of experience into an effective, practical, and informative course. Systems that Scale is the blueprint to growing your business and achieving your goals fast.